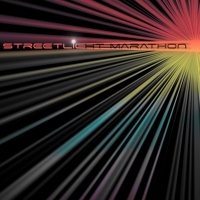 Conceptualized in April 2009, The Streetlight Marathon is an illustration of struggle, passion, and awareness. The band was created by multi-instrumentalist, Andrew Ricchetti, who after several stints with various band around Toronto moved to the city of Chicago in 2008 to focus on other inspirations. However, what Andrew found was a new inspiration in songwriting, and a new opportunity to observe and translate his experiences into meaningful song. The band strives to merge experimental elements to a unique rock sound. In 2010, after playing venues in Toronto, London, Montreal, Chicago and Los Angeles, Andrew returned to Toronto to record his first EP, released in June 2011 at Metalworks Studios with Producer/Engineer Lake Curry. In the summer I mostly like to listen to Weezer and Two Hour Traffic, any upbeat sounding music with sonic guitars and excitement...and of course Streetlight Marathon! right? Spain or the Neatherlands. actually anywhere in Europe would be just fine. Would love to head down to Chicago for Lollipalooza this year. As well as participate in Indie Music Week in Toronto! Aug15th 1969? woodstock.. i mean doesnt it have to be woodstock, i could never imagine another collection of such superstars playing a show like that again. it would have been amazing to see live. Hang out in the park and play acoustic guitar. Preferrably near water. Go walking around the city, and probably some surfing when the opportunity stricks.